When some of The Stranger's finest—Lindy West, Dan Savage, Christopher Frizelle, and Bethan Jean Clement—all joined forces to create a handbook for the college-bound youth of today, I was thrilled to be enlisted as the designer and illustrator for the project. 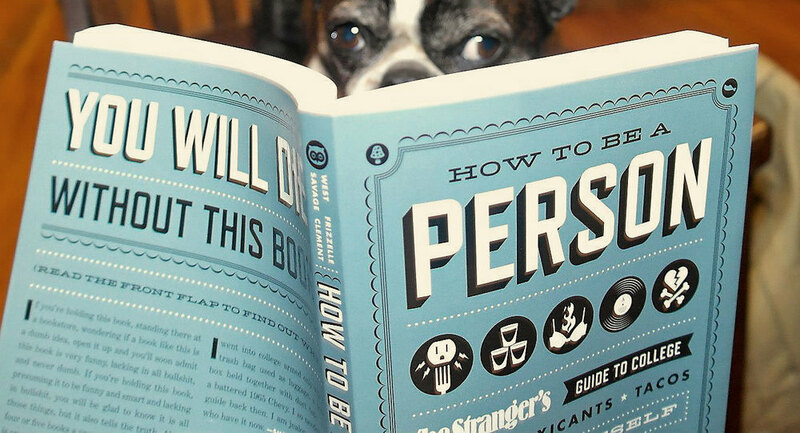 The book is filled with hilarious instructions and insights, including; which majors to avoid, how to not get a STD, what the music you like says about you, how to do drugs (and which ones you should never do), how to binge drink and not die, and how do laundry. Yes, LAUNDRY. 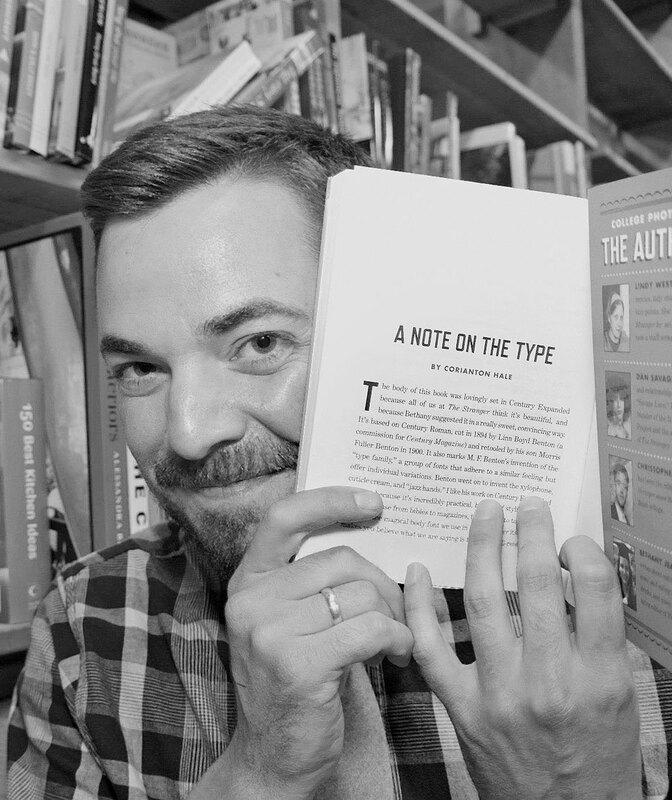 It was an incredibly fun project, and not only did I get to read the book early, I even got to write the very last page of the book, "A Note on the Type." Here's a fun article from when it was chosen as the LA Weekly's "Book of the Week."